We are a wine kit manufacturer and we sell our kits to retailers. The best way to buy our kits is to find a wine making supply store near your home. Alternatively, if you are in the US you can order our kits from online wine and beer making retailers. 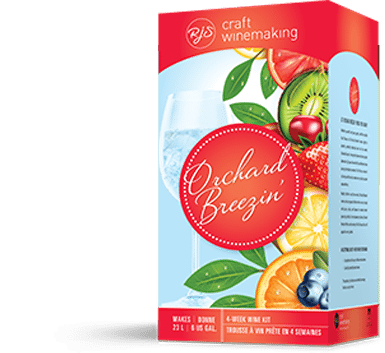 We chose to include three 5g packets of malic acid in your Orchard Breezin wine kit in order to produce a more balanced wine in terms of sweetness and acidity. If you have any reservations about the amount of malic acid being added to the kit you can add each packet one at a time tasting the wine after each addition. If you feel like one or two packets suits your palate then this is just fine!